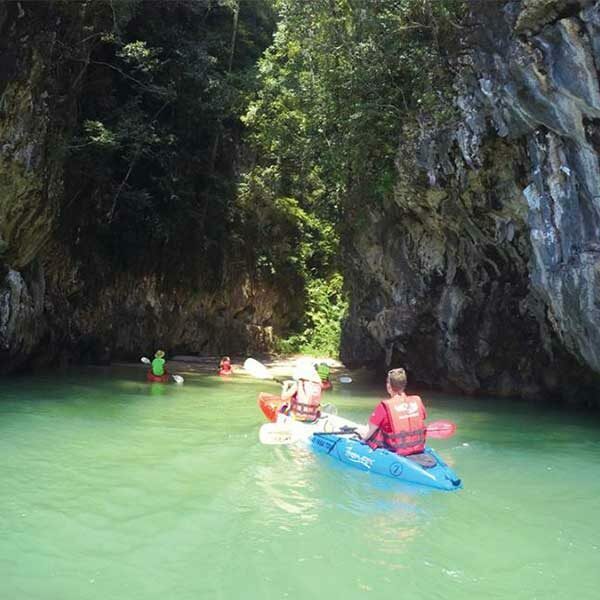 If you have some energy and are the adventurous type of traveler, check out our Full Day Trip Kayaking Tour in Ao Thalane Krabi. We also have a Half Day of this tour if you are only interested in a half day tour. Sea kayaking is a lot of fun and it is great that the operator supports environmental conservation by providing Green Tourism friendly tours like these. You will see some spectacular sites and experience amazing sounds as you meander along, paddling quietly through hidden caves & rock formations, secret passages, canyons & mangrove-lined backwaters. 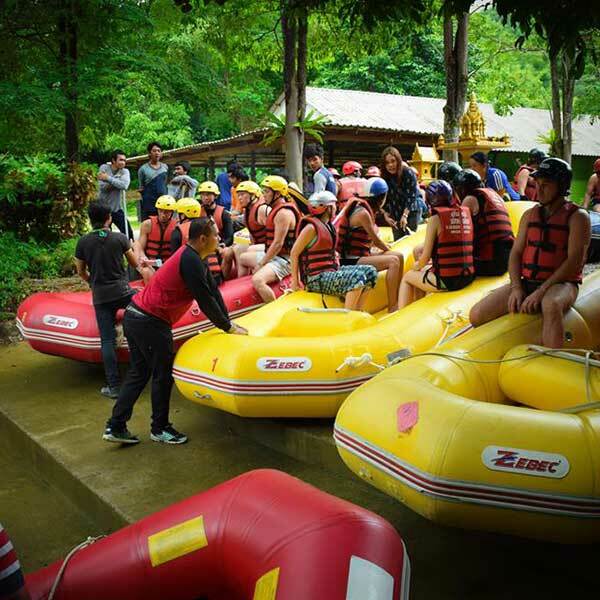 These tours are excellent and we highly recommend them if you are visiting Krabi province. 08.30 We will pick you up from your hotel lobby and take you to the Private Pier. – We are start offer you a cup of tea or coffee by the way our guide give you some attention about how to use the paddle and have fun with kayaking. – Let’s go paddle around fantastic view of Limestone Mountain and historical painting sea gypsy grave. 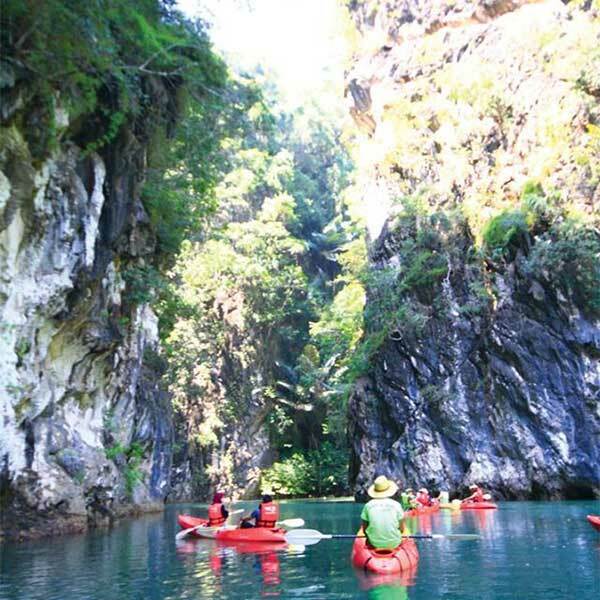 the fascinate of canyon will make you satisfy padding through mangrove forest. Enjoyable with many kind of animals. 12.30 Enjoy delicious Thai food at beach side restaurant. – Enjoy and have fun with activities or relax. 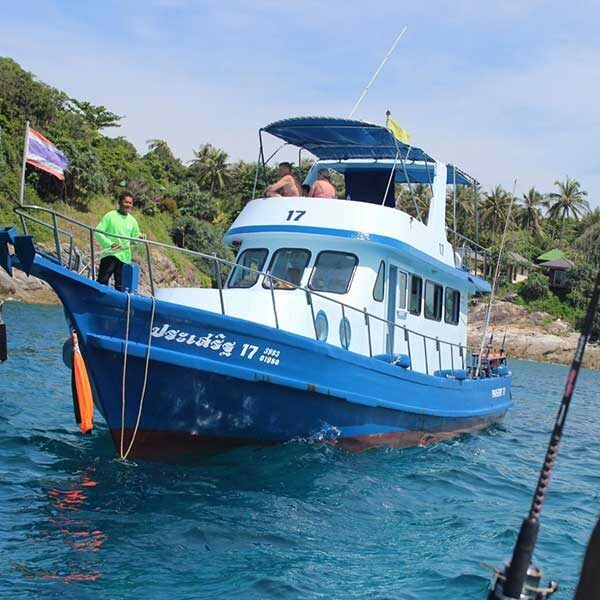 15.00 Arrive back at private pier and transfer back to your hotel. Elephant Trek 30 mins. + ATV 30 mins. Hotel transfer round trip by minivan.